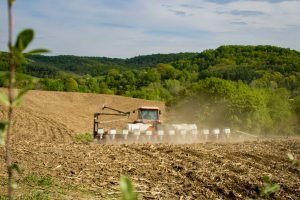 Lorre Kolb: What can Wisconsin farmers and the state’s agricultural economy expect in 2019? We’re visiting today with Paul Mitchell, Department of Agricultural and Applied Economics, University of Wisconsin-Madison/Extension in the College of Agricultural and Life Sciences and I’m Lorre Kolb. Paul, can you tell us what farmers can expect for 2019? Paul Mitchell: Well it’s another tight year coming up. We’ll get price expectations from the markets and from the experts, but in general, we’re expecting tight margins given the costs we’ve seen and what the predictions are for prices, so I’m anticipating another tight year. In terms of margins, some people will be looking at negative margins and having difficulty cash flowing loans. Lorre Kolb: With the Farm Bill just being signed, what does that mean for farmers? Paul Mitchell: Well it passed in this context of farm income has been down for the past several years in a row and so we’re going to see changes in the programs to help improve commodity support for farmers. 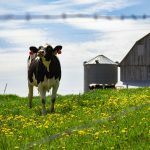 At the Ag Outlook Forum this year, Mark Stephenson will be speaking about the dairy programs and changes there; I will be covering some of the changes in the Farm Bill and what that means for crop producers, focusing on corn and soybean – our two largest crops that are supported by the Farm Bill. There’s been some big changes in terms of the way the programs function, improvements really to make them better for farmers to help provide support in these years of tight margins that we’ve come through, low income and at least another year it looks like it’s going to be the same. Lorre Kolb: You’ve mentioned two topics that will be discussed at the upcoming Wisconsin Ag Outlook Forum that will be held on the UW-Madison campus, what other topics will be discussed? Paul Mitchell: Well of course we’ll talk about dairy with Mark Stephenson. He’ll talk about the programs as well as the situation outlook, we’ll also do a commodity crop – the corn and soybean situation outlook and beef/livestock, particularly beef from Brenda Boetel and then Jed Colquhoun will be speaking about the specialty crop situation outlook. What’s happened in the past year as we’re finishing up 2018 and some ideas of what to expect for 2019. One other thing we’ll be including is Tessa Conroy will be covering the Wisconsin economy broadly, not just the agricultural economy, but where we as a state overall are doing. So we’ll kind of see the agricultural focus as well as some general trends that affect agriculture from the general economy. 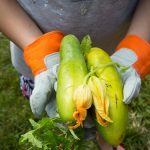 Lorre Kolb: If people are interested in learning more about the upcoming Wisconsin Agricultural Outlook Forum how can they find out more information? Paul Mitchell: The simplest way is to just Google Wisconsin Agricultural Outlook Forum or Wisconsin Ag Outlook Forum and you’ll find a link there. Lorre Kolb: We’ve been visiting today with Paul Mitchell, Department of Agricultural and Applied Economics, University of Wisconsin-Madison/Extension in the College of Agricultural and Life Sciences and I’m Lorre Kolb.